We recently went to the Museum of Neon Art at their new location in Glendale to see the Sign Geeks exhibition of photographs of neon signs. 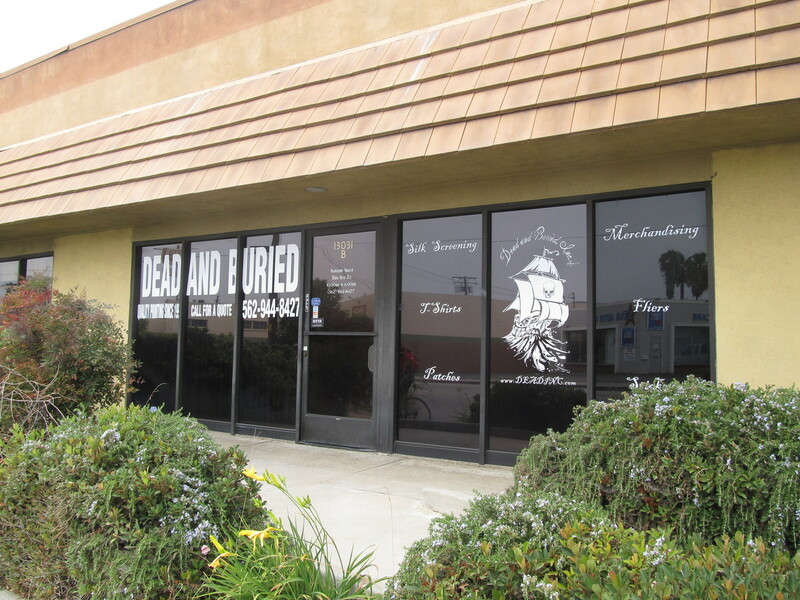 There, they had one piece about the old Premiere Lanes sign in Santa Fe Springs. 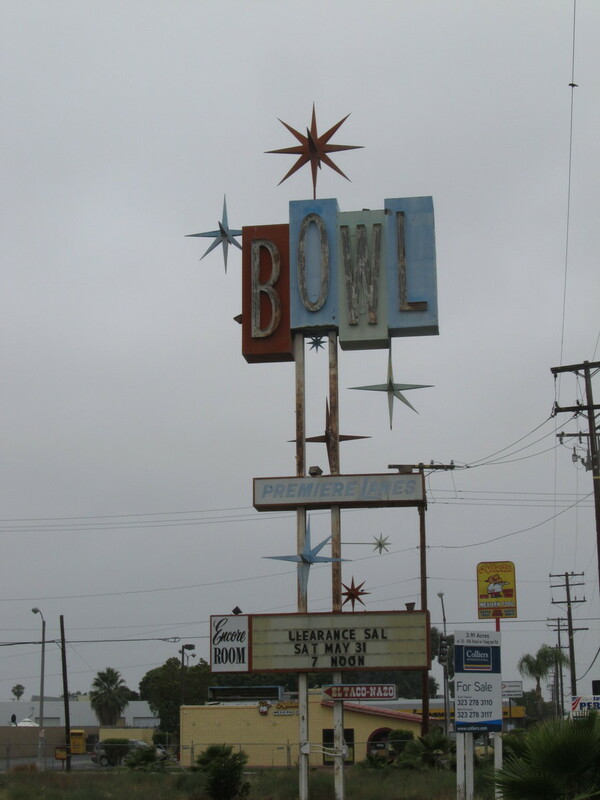 This is a great example of 1950s-style Googie design, and they had been working to have the sign preserved in some way after the bowling alley was torn down in 2010. 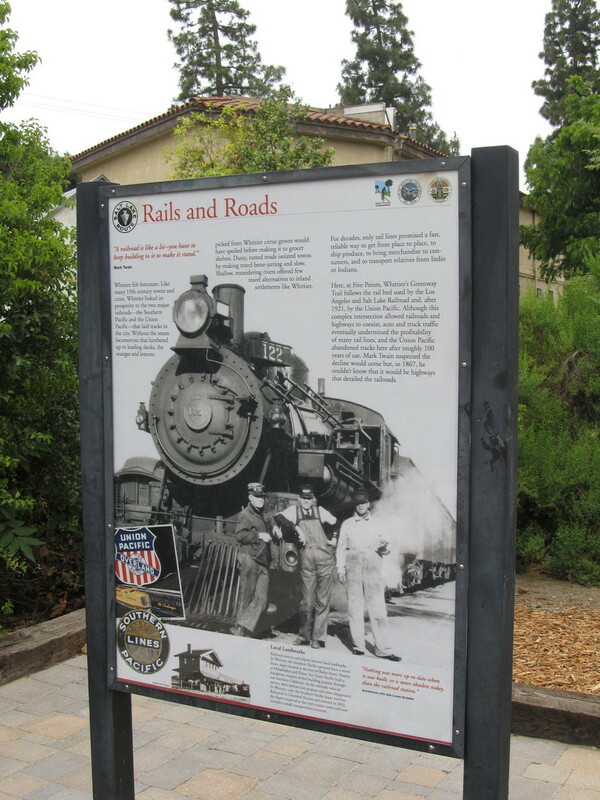 I recently read that the city had approved development of the land, and that the sign would be coming down to be taken to the Valley Relics Museum in Chatsworth. So I figured that this might be our last chance to see it before it’s gone. We’ve done other rides to see famous examples of Googie architecture, so that was today’s ride. The route was very similar to the route we took to downtown Whittier to see the antique street lights with the swastikas on them. Since the side trip to Santa Fe Springs would add several miles, I modified the route to cut off some distance at the beginning. So we started out just heading south, all the way to Whittier Narrows. 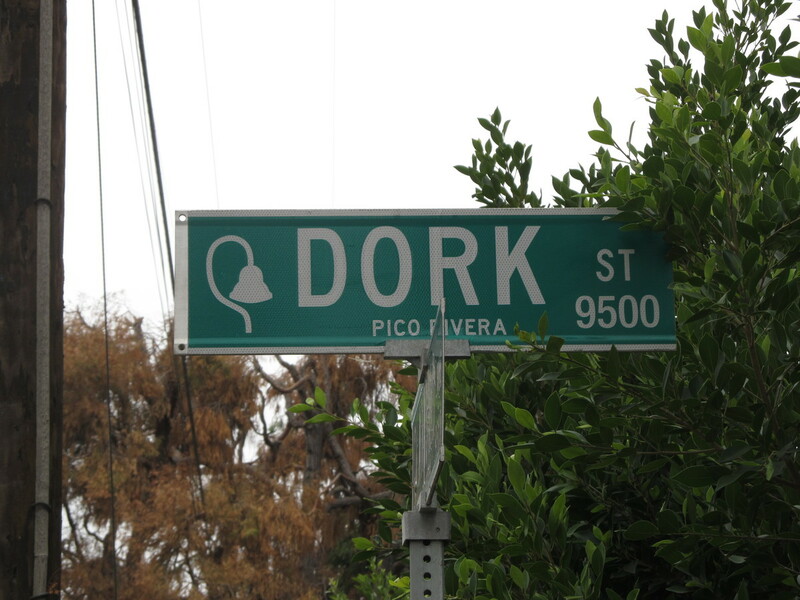 We picked up the San Gabriel River bike trail, making the short side trip to go see Dork Street in Pico Rivera. 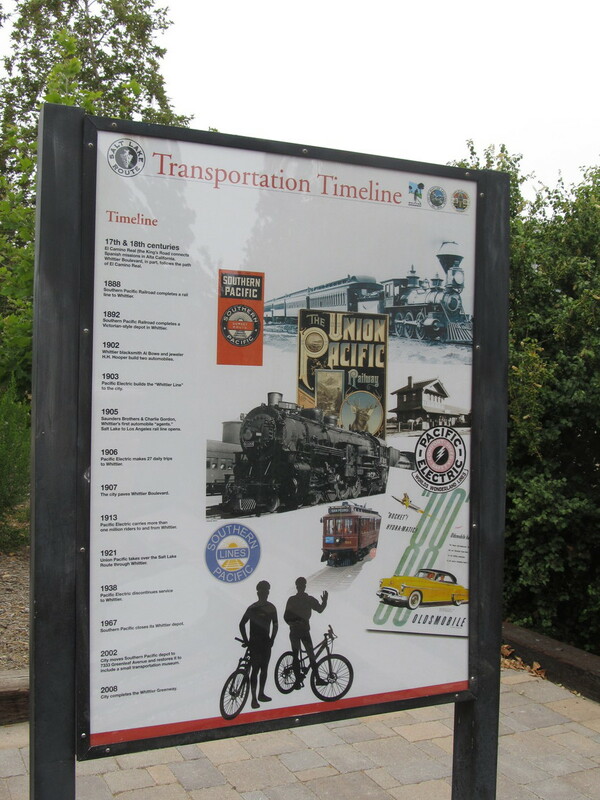 then we rode the Whittier Greenway trail all the way to Greenleaf Ave. There was a nice segment of the trail where we rode over an old railroad bridge that took us diagonally above and across the very large Five Points intersection. Then we headed south to go see the sign. Santa Fe Springs is apparently an industrial town. It looked a lot like Vernon did when we went to see the Farmer John packing plant a few weeks ago. We made it all the way to Telegraph Rd. 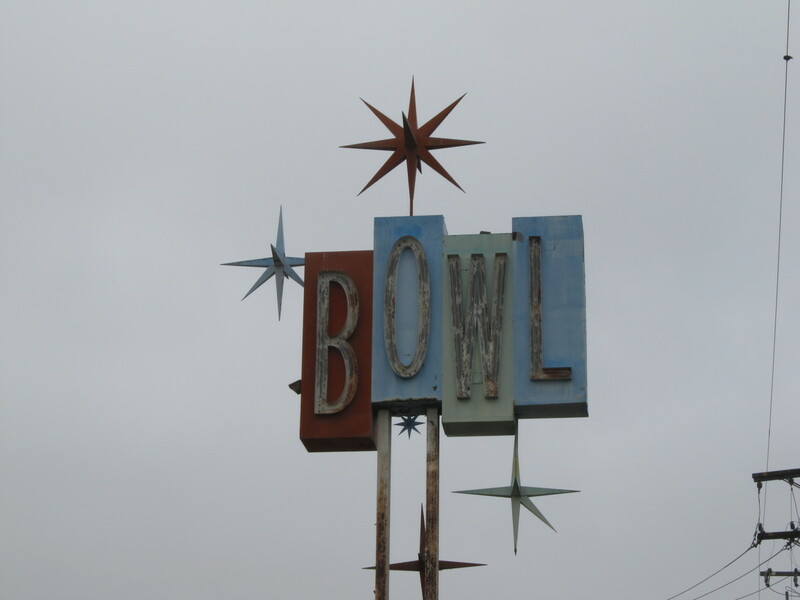 where we saw the sign, standing tall over the vacant lot where the bowling alley used to be. We looked at it for a bit, and took some pictures. 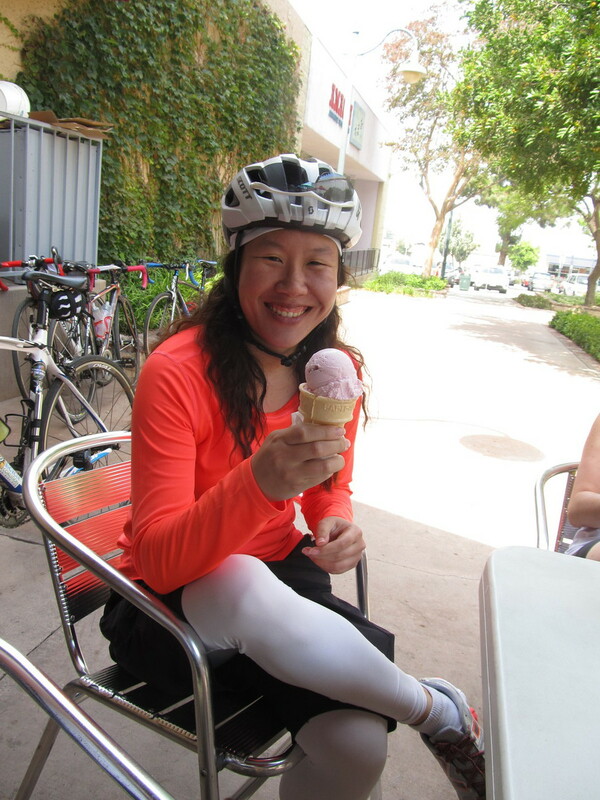 Then we headed back up into downtown Whittier and our snack stop at Mimo’s Cafe. 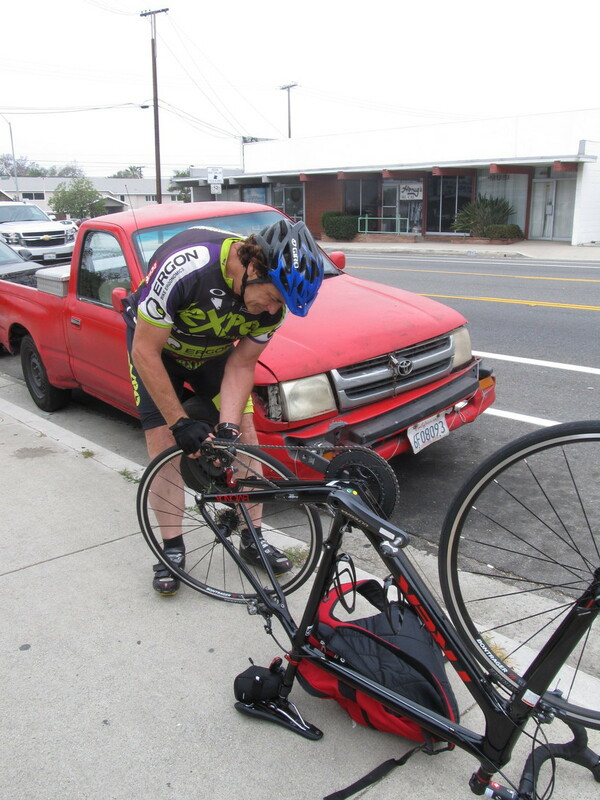 Coming back, we rode up the San Gabriel River and Rio Hondo bike paths, and then home through Arcadia. It was a pleasant ride to see a little bit of local history.